lots of blogger BlogSpot blogs holders worry about sitemap for blogger. because if we dont have sitemap how can we submit to google to index in google search results. unlike WordPress sites blogger don’t have website.com/XML by default in wordpress.com sites also self hosted website using xml plugins. but blogger we don’t need to add any sitemap to google. because google owned blogger. it’s take care of blogspot.com also see more likely to crawl blogger blogs than WordPress sites. blogs like xxxxx.wordpress.com appears very rare. Alternatively we can add rss feed as a sitemap which your.blogspot.com/atom.xml which include first 25 results of feed. and other old URLs already indexed in google. until Amith agarawal founded below method all the blogspot bloggers used above method. here are the snippets to use as xml site map for blogger. For XML sitemap blogger.simply add sitemap.xml end of your blog(custom domain also). Sitemap for blogspot.com blogger blogs not custom domains. 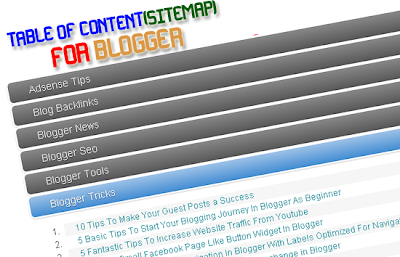 blogger updated their interface and also sitemap facility for bloggers. very easy like wordpress.com. just click you will get sitemap in text document. unfortunately this not works for custom domains like http://www.raazkumar.com/sitemap.xml which is hosted on blogger free platform. click sitemap right side above Why submit a Sitemap? click on add sitemap add the which is ex atom.xml?redirect=false&start-index=1&max-results=500 if your website have above 500 posts repeat with second one i mean add as 2nd site map site map which is 500-999.
you can check on above codes . for blogspot blogs not custom domains just add sitemap.xml. But is valid only for Blogspot, not for Custom Domain. HTML sitemap not almost use for search engines but it useful for users also google recommended it added one of guidelines so we need to for our valuable visitors also decrease bounce rate able under stand where we are in website and also understand website hierarchy level and content of blogger blogspot blog. Method 1 using third party html or xml sitemap generator for your blogspot. you need copy the code. and paste the downloaded HTML file which opened with note pad and copied for further action.